A year on from the iPhone X and notches have practically become the norm now. The notches on the XS and XS Max are actually quite wide compared to many of the notched phones out there, but that's only because Apple packs so much technology into them. If you haven't used a notched phone before, it's something that you'll get used to within a week or two, but it's worth remembering that there are some aggravating drawbacks that come with it. For starters, there are still some apps that aren't optimized for notched displays, which often means there's information hiding behind them. 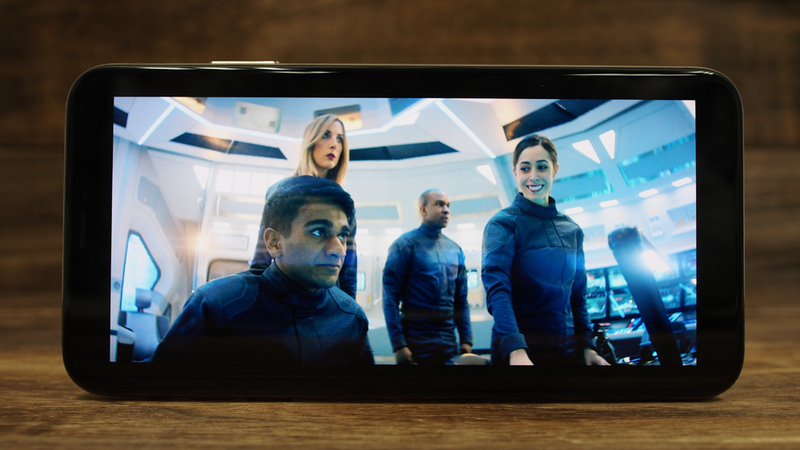 When watching videos, you'll also have the option of either not using the full screen, or expanding the video to fill the whole screen and dealing with the notch obscuring some of the content. The OLED displays themselves are better than ever and improve on what was already the best display I've seen on an iPhone. The XS uses a 5.8-inch 2,436 x 1,125 pixels resolution display, while the XS Max has a 6.5-inch 2,688 x 1,242 pixels, which gives them exactly the same screen pixel density (~458ppi), so you're not actually sacrificing clarity by opting for the larger screen. 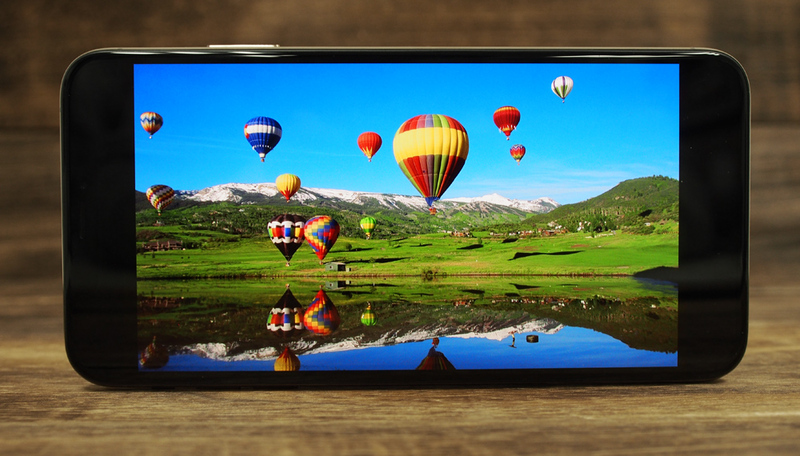 The displays are practically perfect, with rich colors, deep blacks, excellent contrast, and perfect viewing angles. Once again, like the iPhone X, the displays are HDR10 and Dolby Vision certified, and Apple has actually increased the dynamic range by 60% so HDR content (even photos you took previously) looks even better now. Right now, the best display on a smartphone comes down to either the iPhone XS Max or the Samsung Galaxy Note9. Both look fantastic but if I had to pick a winner, I'd go with the iPhone simply because of how good HDR content looks on it. 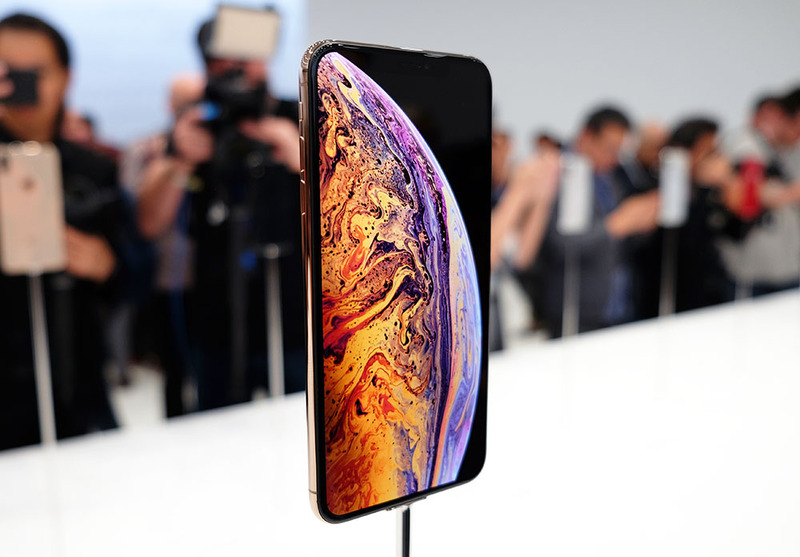 Audio on the iPhone XS and XS Max is once again provided by a stereo speaker setup comprising of one downward firing speaker, and the earpiece doubling up as the second speaker. Sound on the XS is impressively loud, and is noticeably louder than last year. Sound separation has also improved and the left-right stereo effect is a lot more distinct now - this is even more obvious with the XS Max. Bass could be a little better, but overall this is still one of the best on-board speaker setups I've experienced. The iPhone XS and XS Max run on iOS 12. iOS 12 isn't a big departure from iOS 11, but does include some nice new features. iOS 12 finally includes grouped notifications, with notifications grouped by app, topic, and/or thread. The Do Not Disturb during bedtime feature will now prevent notifications from showing up on the screen. When it's morning, you'll get all of your notifications as per normal. The feature also has an ending time in Control Center to make it easier to use. The Photos app has been upgraded, and you can now search it for businesses and events, people, scenes and you can even use multiple search terms. There's also a new tab called 'For You', which suggests memories to revisit, and you'll also see suggestions for photos to share with key people. It will even suggest effects to spruce up your photos. There's a new Screen Time feature that will tell you exactly how you’re using the phone, how much time you’re spending on apps, and what apps you use the most. You can view a report that should help you manage your screen time, and you can set restrictions that will let you limit the amount of time you can use an app per day. If you're using the iPhone XS Max, it also includes the landscape mode we previously saw on Plus sized iPhones. All you have to do is turn the phone on its side to activate it. Landscape mode is active in quite a few apps, including Mail, Messages, Notes, and Calendar, and will present a two column view with messages on the left and their content displayed in a separate column to the right. Unfortunately, the homescreen landscape mode and extended keyboard are no longer available in iOS12. Nevertheless, I still really like landscape mode as it makes good use of the extra screen space, and makes the XS Max feel like a mini tablet rather than just a massive phone. Finally, Face ID has also been upgraded and is now faster and safer than last year. It now unlocks the phone almost instantaneously and still works just as fast in the dark too. A nice new addition in iOS 12 is the ability to add a second person to Face ID. You can do this by selecting the "Set Up an Alternative Appearance" option in the Face ID setup menu. You can also do this on the original iPhone X after upgrading it to iOS 12. For a full rundown of all of the new features in iOS 12, check out this article.